The Independent National Electoral Commission (INEC) says it will not register under-aged in the ongoing registration of voters as it is against the nation’s Electoral Act and processes. The Resident Electoral Commissioner (REC) in Imo, Prof. Francis Ezeonu, made the promise at a sensitization campaign on the ongoing voter registration exercise in Ihite Uboma and Obowo local government areas of Imo. He said that under-aged were not qualified for registration as they should not be subjected to the rigours of the law in case of election violence or misconduct as persons of 18 years and above. He, however, encouraged those that are 18 years and above to ensure they availed themselves of the current registration exercise in electoral wards in Imo to register and collect their Permanent Voter Cards (PVCs) . According to Prof. Ezeonu, PVC is the individual’s power to elect persons of his or her choice during elections. The News Agency of Nigeria (NAN) reports that the sensitization programme was being carried out in collaboration with Development Dynamics, a non-governmental organization. Ezeonu said that consideration would be given to the elderly, pregnant women and the sick during registration and elections and called for the understanding of all the stakeholders. He expressed regret that in spite of the commission’s repeated announcements for people to go and collect their PVCs, the cards had remained at the custody of the commission till date and called for a change of attitude. He said that PVCs could not be collected by proxy and enjoined stakeholders to collect theirs as well as inform their neighbours and friends to do same. Ezeonu said that the commission had upgraded the operational system of the card reader and would use it effectively in the coming elections. “All areas of rigging are being closed. INEC will make use of card readers and will transmit results electronically to the designated centres made for announcement of results. “Power to elect people into various offices in the country belongs to the people and we want the people to exercise this power,” he said. 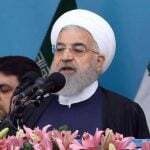 The commissioner said that the commission had come up with what it called Residential Area Camp (RAC) to ensure voting materials reached polling polls on time during elections. 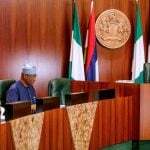 He said the commission adding had equally ordered for more registration machines to be deployed in states where they were needed to make registration faster. Mrs Ogbonne Achibie, the Electoral Officer in Obowo Local Government, said that the local government had a total of 48,746 PVCs with 12,386 PVCs yet to be collected. She said that following the deployment of the CVR by the commission to remote communities, many more areas were being covered with improvement in people’s turnout for registration. Mrs Ekeoma Adolpg-Nnebue, the Electoral Officer in Ihitte Uboma, urged traditional rulers and other stakeholders to increase their sensitization o.f those who were yet to register, returnees from other places and those who just turned 18. NAN reports that the stakeholders, made up traditional rulers from various communities, parties, women and youth leaders commended INEC in the state for the sensitization exercise. They, however, complained of INEC officials in the South East not allow under-aged to register as allegedly done in some other parts of the country. They also asked for the creation of more polling units and provision of more registration machines to make the voters registration faster. Eze Jude Uwaleke, one of the traditional rulers in Ihite Uboma, complained of the far distance to some registration centres and the difficult terrain in reaching some centres in some communities. Mr Gabriel Akubueze, a stakeholder from Umuebe Aboke in Ihite Uboma, complained of lack of polling booths in his community and the level of political apathy in the area. He urged INEC to liaise with the traditional rulers and community leaders to ensure people would come out to register and also vote. Chief Ambrose Onuoha from Ihite Uboma urged the commission to ensure the introduction of CCTV to monitor illegalities during elections, while Chief Awolowo Nkwo-Dede from Obowo tasked INEC on transparency during elections. 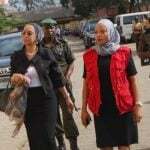 The Economic and Financial Crimes Commission (EFCC), on Thursday re-arraigned a former judge of the Federal High Court of Nigeria, Justice Rita Ofili-Ajumogobia, over allegation of money laundering. 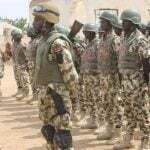 Troops of the “Operation Sharan Daji” in Zamfara have arrested the Vice Chairman of Anka Local Government of the state, Mr Yahuza Wuya, for alleged link to bandits. The Federal Executive Council (FEC) has approved a loan of $20 million for Lagos State strategic transportation plan. 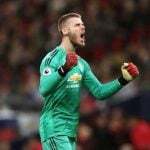 Manchester United goalkeeper David de Gea warned the Red Devils must improve against Barcelona in the Champions League. 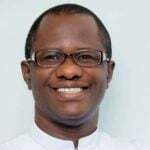 Archbishop Alfred Adewale Martins has approved the appointment of Rev. Fr. Anthony Godonu as the acting Director of Social Communications for the Catholic Archdiocese. 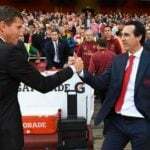 Unai Emery has revealed that a conversation with his Spanish compatriot and Watford manager Javi Gracia convinced him to become Arsenal’s manager last summer. Justice P.I. 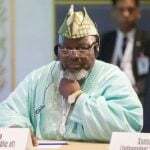 Ajoku of a Federal High Court in Ibadan, on Friday struck out a suit filed by the Minister of Communications, Adebayo Shittu, against the All Progressives Congress (APC) for excluding his name from the list of gubernatorial aspirants in the March 9, General Elections over his inability to present his NYSC certificate. 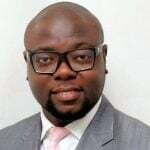 Some residents of FESTAC Town, Lagos State have expressed disappointment over the defeat of Dipo Olorunrinu, representing Amuwo-Odofin Constituency I in the Lagos State House of Assembly.